Green space in Seoul is something of a novelty. It's not easy to come by. There are some nice parks in the city where you can escape the chaos of the concrete jungle for a little while though. One such space is Seoul Dream Forest. It's a fairly new park that was opened in October 2009. Previously the area was an amusement park called Seoul Dream land. It's the fourth largest park in Seoul after World Cup Park, Olympic Park and Seoul Forest. The park is located in the far north east of Seoul near to Gangbuk, Sungbuk and Nowon. There are lots of walkways and sculpted areas. There is also a performance area and exhibition hall. One special thing to note about this park is that, unlike some other parks in Seoul, you can actually walk on all the grass. Don't ask me why you can't in some of the parks, I have no idea! A newly renovated park - Seoul Dream Forest. Seoul Dream Forest - Pond and Waterfall. Seoul Dream Forest Park - Grass field that you can actually go on and the observation deck in the background. Fountains in Seoul Dream Forest Park. Around the park there are several cafes and also a couple of restaurants. Occasionally open air performances are held in the park and special events are sometimes put on for Korean holidays like Chuseok. During the winter they have a sledging slope and hold an Ice Festival (lots of ice sculptures on display) around Christmas time. One of the cafes and a performance area located in Seoul Dream Forest. 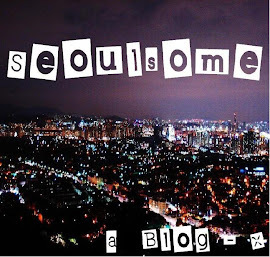 How to get to Seoul Dream Forest. Alternatively you can go to Dolgoji station on subway line 6. Go out of exit 3, transfer to bus number 147. From the road you should see the observation deck pictured below. This is where you need to get off the bus. The main building housing the observation deck, restaurants and car parking at Seoul Dream Forest. This looks beautiful! I love how you give detailed directions. We will def be checking this out soon! Thanks.